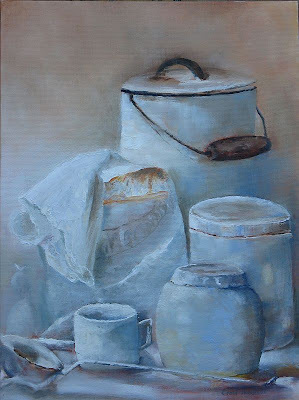 This painting was done in a class with Margie Johnson. The still life she set up was all white, yes, she even painted the egg box and eggs! Everyone knows of course that white is not truly white.